The selection process for CRM software often contains the phrase, “if it only had this one thing, it would be perfect”. And, there is no one-size-fits-all CRM application. That’s why frequently the best option is to select a software package that best supports your processes and then integrate a 3rd-party solution that’s designed to fill the gap. 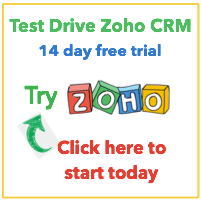 As a buyer of standard CRM software you’ll have access a rich marketplace of product enhancements designed by third-party developers. The best of these are endorsed by the publishers of the software they are designed to work with. Contact us today to learn more about how to extend the capabilities of your CRM or contact management software solution.